FREMONT, CA — May 9, 2017 — Dataguise, a leader in sensitive data governance, announced today that CRN®, a brand of The Channel Company, has named Dataguise to its 2017 Big Data 100 list. Now in its fifth year, the annual list recognizes Dataguise and the innovations it brings to market that help businesses minimize the risks associated with data privacy and compliance while maximizing the business value of big data insights. Dataguise DgSecure delivers a simple, powerful solution for sensitive data governance that detects, protects, audits, and monitors sensitive data across the enterprise, both on premises and in the cloud—and was the industry’s first to support big data repositories such as Hadoop. Businesses are constantly grappling with the exploding volume, speed, variety, and exposure of information they produce and utilize on a daily basis to remain competitive. Solution providers are on a never-ending quest to tame this big data with innovative tools, technologies and services that can convert it into meaningful, usable statistics. In response to this challenge, the CRN editorial team has identified the IT vendors at the forefront of data management, business analytics and infrastructure technologies, data security, and services. The resulting Big Data 100 list is a valuable guide for solution providers seeking out key big data technology suppliers. DgSecure by Dataguise enables businesses to take complete ownership of sensitive data across all source types within the enterprise, from big data platforms and relational databases to structured and unstructured data repositories on premises and in the cloud. The complete sensitive data governance solution delivers powerful data security and compliance capabilities that include detection, protection, monitoring, and auditing of sensitive data and data access activities to prevent a data breach or failed audit. For global enterprises that handle the personal data of EU citizens but still want to perform big data analytics for superior customer insights, Dataguise DgSecure can provide the necessary first step for compliance with the General Data Protection Regulation (GDPR)—and help companies maintain compliance beyond the May 2018 deadline. Each year, CRN honors the Top 100 Big Data Solutions in an effort to help solution providers navigate the growing big data marketplace and identify the best new technology solutions and tools emerging in big data analytics hardware, software, and applications. Winners are named across multiple categories and chosen based on data and information gathered from both solution provider nominations and the CRN editorial team. Coverage of the Top 100 Big Data Products for 2017 is featured in the May issue of CRN, and online at http://www.crn.com/ big-data-100. FREMONT, CA — April 26, 2017 — Dataguise, a leader in sensitive data governance, today announced that DgSecure 6.0.5 has been named a finalist in the 2017 DCS Awards, presented by Data Centre Solutions Magazine. The company’s data governance solution was named in two categories: ICT Security Product of the Year and ICT Innovation of the Year. Judges recognized DgSecure for multi-platform data security and compliance on premises and in the cloud. The Data Centre Solutions Awards reward the successful delivery of products and services by companies and teams that have made a significant contribution to IT administrators. Finalists for the 2017 Data Centre Solutions Awards were carefully selected by a panel of industry experts with decades of IT experience. The category of ICT Innovations of the Year recognizes software products/solutions in the enterprise computing sector with a demonstrated competitive advantage and a measurable ROI for the users of the product. The category of ICT Security Product of the Year designation recognizes industry-leading software/solutions designed to mitigate the potential of a security breach. DgSecure was selected as a leading data security and compliance solution, providing comprehensive capabilities for all data source types. DgSecure allows enterprise IT administrators to quickly understand what, where, and how sensitive data is detected, protected, and accessed throughout their organizations. The advanced features in DgSecure provide all-in-one sensitive data governance, privacy compliance, and risk mitigation. The software supports a wide range of IT and data management frameworks and enhances the operational experience for data stewards and CISOs managing these systems. Version 6.0.5 offers support for cloud-based storage repositories, including Microsoft Azure databases, Amazon S3, and Google Cloud Storage (GCS). DgSecure 6.0.5 also includes an enhanced REST API for tighter integration with cloud applications, services, and analytics solutions. The new API builds upon DgSecure’s support for public cloud infrastructure, making it the most comprehensive sensitive data governance solution for both on-premises and multi-cloud environments. Today’s product updates empower organizations that are dependent on highly scalable data platforms to improve operational insights, financial forecasting, customer analytics, and business optimization. The winners in each category will be selected by the readership of Data Centre Solutions Magazine. Voting closes on April 28th and Dataguise customers are invited to cast their vote at: http://www.dcsawards.com/voting.php. SAN JOSE, CA — March 15, 2017 — Dataguise, a leader in sensitive data governance, today announced that DgSecure now provides industry-first sensitive data monitoring and masking in Apache Hive. This latest release of DgSecure (version 6.0.5) now also offers: sensitive data monitoring for MapR, Oracle database, and Teradata; Cloudera Navigator integration for Hive agent results; structured encryption and decryption for European languages; and an enhanced REST API for multi-cloud service interoperability, in addition to on-premises functionality. Dataguise will showcase its sensitive data governance software in booth 1329 at the Strata + Hadoop World conference in San Jose, March 14-17, 2017. With support for sensitive data monitoring and masking in Apache Hive, Dataguise marks an industry-first for this popular data warehousing environment. Hive environments hold large datasets stored in Hadoop’s HDFS and compatible file systems such as the MapR-FS filesystem. DgSecure can help organizations identify potential data breaches of sensitive information in minutes, not months, allowing IT security teams to mitigate business risk and disruption. Hive administrators who implement DgSecure have full access to sensitive data monitoring and masking features, which means that organizations can do with their data what could not be done in the past due to security concerns. With support for cloud-based storage repositories, including Microsoft Azure databases, Amazon S3, and Google Cloud Storage (GCS), DgSecure version 6.0.5 now includes an enhanced REST API for tighter integration with cloud applications, services, and analytics solutions. The new API further builds upon DgSecure’s support for public cloud infrastructure, making it the most comprehensive sensitive data governance solution for both on-premises and multi-cloud environments. Today’s product updates empower organizations that are dependent on highly scalable data platforms to improve operational insights, financial forecasting, customer analytics, and business optimization. Strata + Hadoop World is the largest conference of its kind with sessions and tracks that reflect the challenges that have emerged in data-driven computing—including security. With threat levels rising both inside and outside of organizations, enterprises need sophisticated solutions to better understand their sensitive information – including where it is located, whether it is protected or exposed, and who has access to it. For information on how to manage sensitive data in the cloud with confidence, download a new eBook from Dataguise on the subject at http://www2.dataguise.com/l/74402/2016-08-09/5ytl9f. SAN FRANCISCO — March 9, 2017 — Dataguise, a leader in sensitive data governance, today announced that DgSecure Detect now supports sensitive data detection on Google Cloud Storage (GCS). Integration with GCS extends the range of platforms supported by DgSecure Detect, which helps data-driven enterprises move to the cloud with confidence by providing precise sensitive data detection across the enterprise, both on premises and in the cloud. With DgSecure Detect, organizations can leverage Google’s powerful, simple, and cost-effective object storage service with a complete understanding of where sensitive data is located—an important first step to ensuring data protection and privacy compliance. Dataguise will showcase the sensitive data detection solution for GCS in booth A25 at Google Cloud Next in San Francisco, March 8-10, 2017. DgSecure Detect discovers, counts, and reports on sensitive data assets in real time within the unified object-based storage of GCS. The highly scalable, resilient, and customizable solution precisely identifies and summarizes the location of this data, down to the element level. DgSecure allows organizations to comb through structured, semi-structured, or unstructured content to find any data deemed “sensitive” by the organization. The range of sensitive data that is discoverable by DgSecure Detect is nearly unlimited using the solution’s custom sensitive data type definition capabilities. Provides deep content inspection using patent-pending techniques, such as neural-like network (NLN) technology, and dictionary-based and weighted keyword matches to detect sensitive data more accurately. These new capabilities enable enterprises from a range of industries—including finance, insurance, healthcare, government, technology and retail—to gain accurate insight on where sensitive data resides in GCS so it can be protected properly. DgSecure helps organizations comply with regulatory mandates for PII, PHI, and PCI data, such as the European Union’s General Data Protection Regulation (GDPR), the Health Insurance Portability and Accountability Act (HIPAA), and other data privacy and data residency laws. FREMONT, Calif. — February 8, 2017 — Dataguise, a leader in sensitive data governance, today announced that Bock Corp has partnered with Dataguise to help data-driven enterprises address the challenges of sensitive data security and compliance. Focused on big data enablement in the enterprise, Bock Corp’s relationship with Dataguise is centered on strengthening data governance for organizations throughout Australia and New Zealand. Bock Corp is an IT solution provider specializing in strategic big data implementations for data driven insights. The company utilizes a pool of data scientists, data engineers, and application developers, who provide full support and training to help customers satisfy their business requirements. The organization empowers best of breed partners to ensure business focused outcomes in a timely manner. With an emphasis on organizations in the telecommunications, government, and retail markets, Bock Corp has invested in partnerships with Amazon Web Services (AWS) and Microsoft Azure to provide customized big data solutions that can be implemented on-premises or in the cloud. The company will incorporate Dataguise DgSecure which provides the most precise data-centric governance solution for detecting, protecting, monitoring, and auditing sensitive data assets in real time wherever they live. The integrated solution will support Bock Corp customers with enforcement of corporate compliance policies and government mandates for data governance. FREMONT, Calif. — January 25, 2017 — Dataguise, a leader in sensitive data governance, today announced an educational webinar focused on the European Union’s GDPR data handling regulation which is intended to provide greater uniformity to sensitive data protection across the EU and better protect personal data processed for non-personal purposes. The webinar, scheduled for January 31, 2017 at 10 am GMT, will feature data security and compliance experts from both Dataguise and UK-based WHISHWORKS. In May of 2018, the newly signed GDPR mandate comes into effect throughout the European Union. Organisations found in violation of these regulations are subject to severe financial penalties, as high as 4% of annual revenue. To support CIOs, CDOs, and IT security professionals in addressing GDPR, Dataguise is teaming with WHISHWORKS, a global leader in IT services and consulting, to educate those impacted by this mandate. As part of the webinar, participants will learn how to free their businesses from GDPR constraints and unlock the power of data, one of the most powerful assets possessed by an organisation. Attendees will be educated on GDPR and how it can impact operations and be made aware of technical remedies to the requirements imposed. The imparted knowledge will include the empowerment of IT administrators by providing visibility into data and understanding which data is sensitive and what actions can lead to compliance failure. Strategies and tactics for protecting data that has been determined to be sensitive will also be reviewed. WHISHWORKS is a global IT services and consulting company focused on providing systems integration and Big Data solutions to enterprise organisations. The company helps businesses improve performance, profitability, intelligence and security. FREMONT, Calif. — January 24, 2017 — Dataguise, a leader in sensitive data governance, today announced that the company and its flagship solution, DgSecure, have been recognized by Database Trends and Applications Magazine in an article titled, “Trend-Setting Products in Data and Information Management for 2017.” Dataguise DgSecure was named a top solution for sensitive data governance and listed among other popular solutions for addressing the challenges of rising data volumes within corporate IT infrastructure. DgSecure is a comprehensive data security and compliance solution for all data source types, allowing users to quickly understand what, where, and how sensitive data is detected, protected, and accessed across the enterprise. The advanced features in the latest generation software provide all-in-one sensitive data governance, privacy compliance, and risk mitigation. The software supports a wide range of IT and data management frameworks and enhances the operational experience for data stewards and CISOs managing these systems. 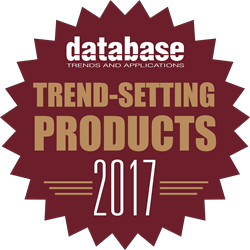 View the article on the Database Trends and Applications website. FREMONT, Calif. — January 18, 2017 —Dataguise, a leader in sensitive data governance, today announced that Obsidian Systems, an IT professional services and support organization based in South Africa, has partnered with Dataguise to provide comprehensive data governance. Focused on enabling the data-driven enterprise, Obsidian Systems’ relationship with Dataguise is focused on strengthening data security and compliance for medium to large enterprises throughout Africa. Obsidian Systems is a South Africa-based IT solution provider that brings vendor certified training and products along with local consulting and support to its customers. The company was started in 1995 to work with businesses and organizations looking to integrate and leverage Linux infrastructure and is now a top supplier of Open Source software solutions. Obsidian Systems has aligned with providers such as Hortonworks in the architecture of data analytics projects for organizations and the announcement today with Dataguise furthers their leadership in addressing upcoming regional compliance mandates, including South Africa’s Protection of Personal Information (PoPI) Act. The PoPI Act went into effect in 2014 and mandates that organizations in South Africa operate responsibly when it comes to collecting, processing, storing, and sharing third-party information. The Act holds organizations accountable for the abuse or compromise of personal information in any way. It gives consumers certain rights of protection and the ability to exercise control over the integrity and accuracy of one’s data, how the information is shared, who accesses the data, how it can be used, as well as the ability to destroy it when requested. Dataguise DgSecure helps organizations to comply with the Act by providing complete visibility of customer data regardless of physical or virtual location within an IT environment. These environments may include Hadoop or other big data repositories, but can also include distributed database environments or unstructured file servers. After the identification of such data, the administrator has the ability to assign protection in the form of either masking, encryption, or tokenization with the ability to monitor/audit the data throughout its possession. DgSecure is a comprehensive data security and compliance solution for all data source types, allowing users to quickly understand what, where, and how sensitive data is being detected, protected, and accessed across the enterprise. The advanced features in version 6.0 provide all-in-one sensitive data governance, privacy compliance, and risk mitigation for total ownership of sensitive data in all its forms. The software supports the widest range of IT and data management frameworks and enhances the operational experience for data stewards and CISOs managing these systems. DgSecure and the all-new DgSecure Dashboard deliver the information needed to make intelligent risk-based decisions for the enterprise. To learn more, download the data sheet at https://www2.dataguise.com/l/74402/2016-09-26/6dkwvt. Obsidian Systems is an established supplier of Open Source software solutions.The company was started in 1995 as a modest services provider targeting businesses and organisations looking to integrate and leverage off Linux infrastructure. The last two years Obsidian Systems has expanded its knowledge base by acquiring 25% of both Autumn Leaf and GuruHut. The expansion of skills is now a formidable team with Java™ expertise aligning our Enterprise Open Source solution for retail, supporting technology and consulting services across enterprise-ready open source infrastructure, big data, collaboration and bimodal IT strategies for your business. Obsidian Systems and its subsidiaries, GuruHut and Autumn Leaf strive to bring three legs to the South African market: the first being vendor-certified products, the second being local skills providing consulting, development and support and the third being vendor-certified training and certification. With these three elements, any organisation can trust the enterprise open source solution provided. Obsidian Systems is a Level 2 contributor to Broad-based Black Economic empowered supplier of open source software solutions in South Africa. For a smarter perspective on your IT visit us at http://smarterdata.co.za/ and http://smarterteams.co.za/. FREMONT — January 10, 2017 — Dataguise, a leader in sensitive data governance, today announced that WHISHWORKS, a provider of IT services and systems integration focused on building and supporting the data-driven enterprise, has partnered with Dataguise to strengthen the security and compliance of data infrastructure throughout Europe. WHISHWORKS will offer DgSecure to customers within its areas of operation, including France, Germany and the United Kingdom. Established in 2008, WHISHWORKS has emerged as an IT service leader in data-driven IT outsourcing and consulting. The company specialises in delivering innovative technologies on time and on budget. WHISHWORKS oversees a Centre of Excellence and has developed deep skills in the areas of Big Data and systems integration. The organisation has partnered with the best platform providers, including MuleSoft, Hortonworks, MapR, Cloudera, and Dataguise, to deliver unparalleled services and products that fuel rapid business growth. The partnership between Dataguise and WHISHWORKS will help organisations to overcome difficulties in unlocking Big Data’s potential because of the compliance requirements that will be imposed by the General Data Protection Regulation (GDPR) in May, 2018. As many organisations struggle to combine their various data sources into a secure structure that can yield the rich insights necessary to drive meaningful and sustainable business growth, WHISHWORKS recognises that some view this information as out of reach, expensive, or sensitive in nature. WHISHWORKS deployments that integrate Dataguise security and compliance software will enable solution efficiency, security and greater profits by allowing higher levels of access through a secure and searchable data security framework in order to maximise the value of becoming a data-driven organisation. DgSecure delivers a comprehensive data security and compliance solution for all data source types, allowing users to quickly understand what, where, and how sensitive data is detected, protected, and accessed across the enterprise. The advanced features in version 6.0 provide all-in-one sensitive data governance, privacy compliance, and risk mitigation. The software supports a wide range of IT and data management frameworks and enhances the operational experience for data stewards and CISOs managing these systems. Dataguise is the leader in secure business execution, giving data-driven enterprises a simple, powerful solution for global sensitive data governance. DgSecure by Dataguise precisely detects, protects, audits, and monitors sensitive data across the enterprise, on premises and in the cloud. Delivering a single, dashboard view of sensitive data security, policies, access, and trends, DgSecure gives IT and business leaders the insights they need to manage risk and compliance while maximizing the value of information assets. The company is proud to secure the data of many Fortune 500 companies committed to responsible data stewardship. To learn more, visit: www.dataguise.com. WHISHWORKS is a global IT services and consulting company focused on providing system integration and Big Data solutions to enterprise organisations. The company helps businesses improve performance, profitability, intelligence and security. We have an enviable portfolio of customers who choose to work with WHISHWORKS because of our two hundred strong team of consultants, who represent our greatest asset. We select our consultants based on their experience and through our Centre of Excellence, ensure continuous programs of certification. This is the talent pool from which we draw our engineering experts. FREMONT — December 14, 2016 — Dataguise, a technology leader in secure business execution, today announced inclusion in a report by Gartner titled, “Rethink and Extend Data Security Policies to Include Hadoop.” The report provides best practices for addressing data security concerns related to Apache Hadoop deployments and highlights several leading vendors in the category to support these endeavors. Protecting dark data is an often overlooked challenge because many organizations managing Hadoop infrastructure have not implemented measures or technologies to track what is being stored. With the deployment of proper data retention architecture, including the installation of sensitive data detection, monitoring and auditing solutions, enterprises are better able to understand the information being stored and can apply the appropriate policies to ensure compliance. These policies should be designed to help the organization increase efficiencies and significantly reduce security concerns. Dataguise is one of several, in an emerging class of vendors, taking a closer look at Hadoop and its peculiarities. “Gartner has again nailed the importance of broadening one’s perspective when it comes to Hadoop. As mentioned in the report, there are many threats to consider regardless of the data framework selected so it will be necessary for organizations to orchestrate a Hadoop security stack. Considered by many as a foundational building block in this venture, DgSecure is well situated in countless Hadoop installations. We invite CIOs, CDOs, security professionals, and others to visit with our team regarding new projects and those under consideration,” noted Sison.